Established in 1909, Thomas Bonnett’s family run Business in Stoke Ferry has grown vastly, serving Norfolk & all over the UK. Bonnett’s has a passionate team of wonderful people who love what they do. If they haven’t got it they will try to get it for you, and if they don’t know the answer they will try to find someone who does. We also offer a hire service on a daily or weekly basis such as cement mixers, ladders, scaffolding, grinders, sack barrows, core drills & generators. Hi Chris, we thought you would like to see your wonderful wall plaques in position. We are so delighted with them. It was a pleasure doing business with your company. I am delighted with my gates and house sign. Such good quality - just what I wanted! Very friendly staff and incredible craftsmanship by Chris. 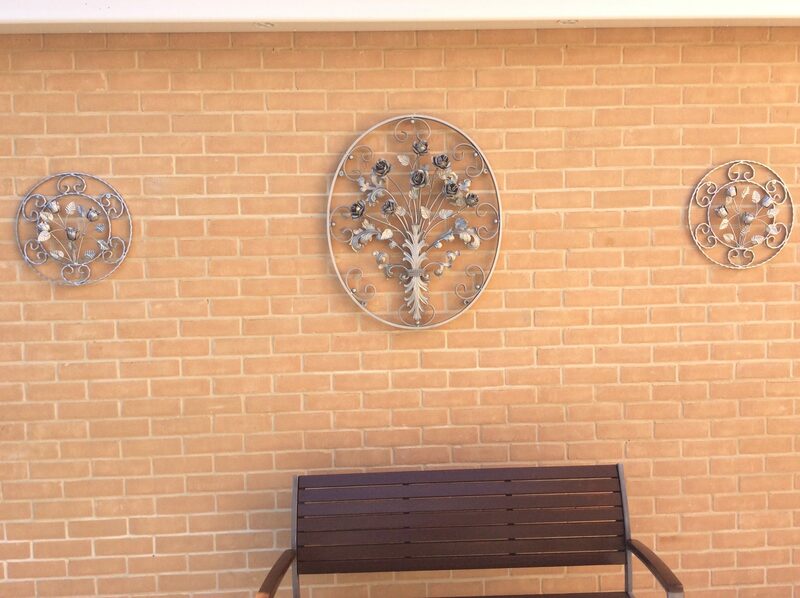 Thank you for our lovely mantle brackets. They've transformed the room! Refreshing to see so many women working in a hardware store...always very helpful. Have a vision or not quite sure what you’re after? Here at Bonnetts we love to make that dream a reality. 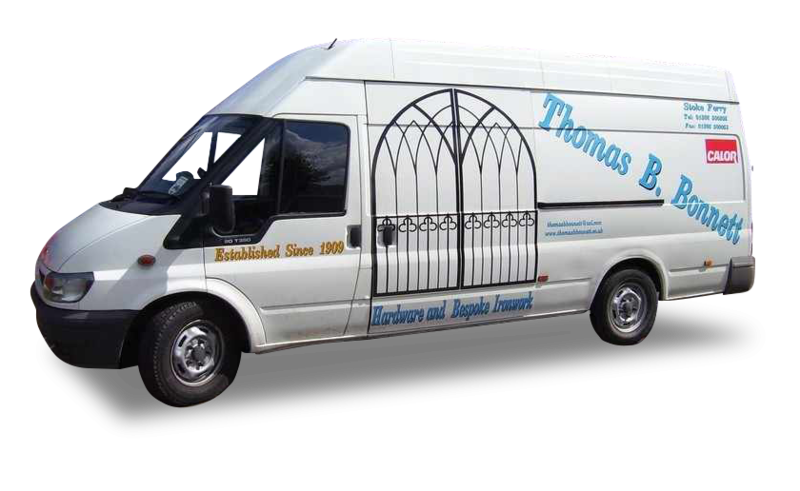 We have passionately & skilfully created many Bespoke Ironwork projects such as Gates, Balconies, Fire Guards, Home & Business signage and more. We would love your idea to become our next bespoke project. To begin with we always advise a chat! You might want to contact us at our office via telephone or use the contact form on the website. You are welcome to pop in anytime and see us here at Stoke Ferry too. No need to travel far for DIY essentials, we probably stock it! Our DIY and hardware shop is an Aladdin’s cave for public and trade. So many people visit our shop and are amazed at the varied stock we have. 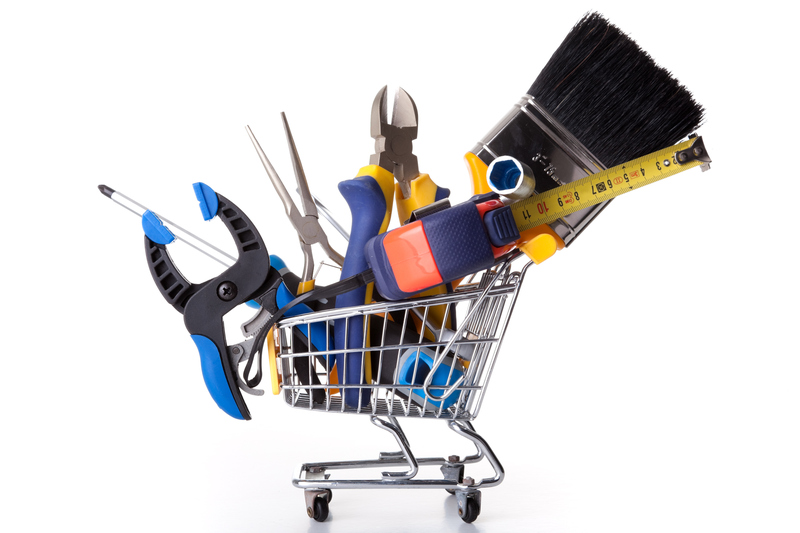 Some of the items we sell are paint, light bulbs, garden accessories, screws, tools, nuts, bolts, drill bits, cables, roofing felt, wire netting, wood preserver, tarpaulin, cleaning products and much much more! We stock some very popular brands at competitive prices. If we don’t stock it we do our best to source it for you. We also stock a vast range of Building Supplies, Calor Gas and Steel. It’s worth a visit to see the full range here at Stoke Ferry. Here at Bonnetts we have a large variety of goods to help keep you warm, safe & secure throughout the winter months. Our varied product ranges include Fireside Accessories, Protective Clothing, Torches & Batteries, Security Lighting & Fixings + lots of Pest Control Products. We would love to hear from you. If you have a question about what we stock or a trade enquiry please call us or contact us using the methods here.